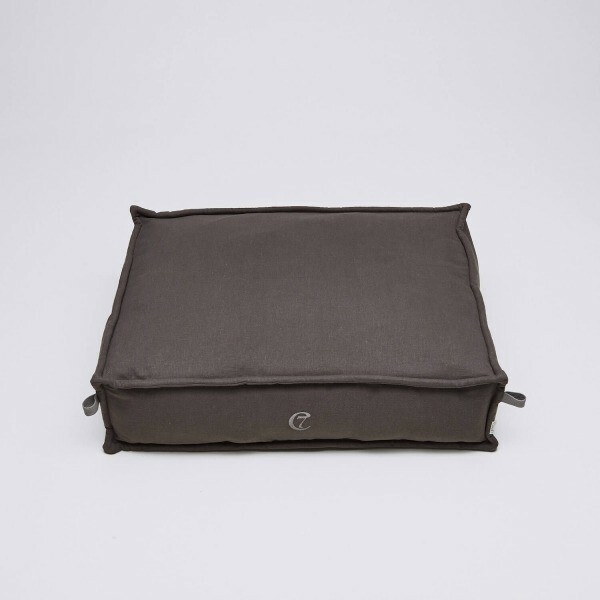 This dog bed is raised off the floor to give extra softness to dogs who like to sink into their cushions. The soft mattress is made from a latex and polyester flakes mix. In addition, the bed is stabilised by fixed seams that surround the entire bed. 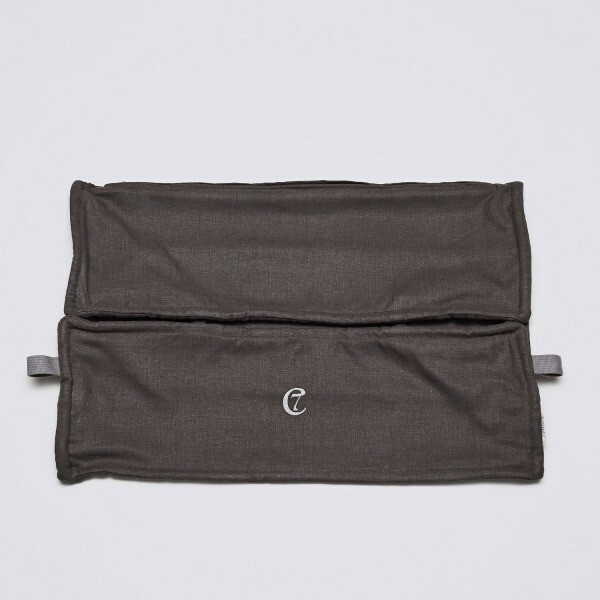 The outer fabric is made from an organic cotton hemp mix and is therefore durable as well as robust. 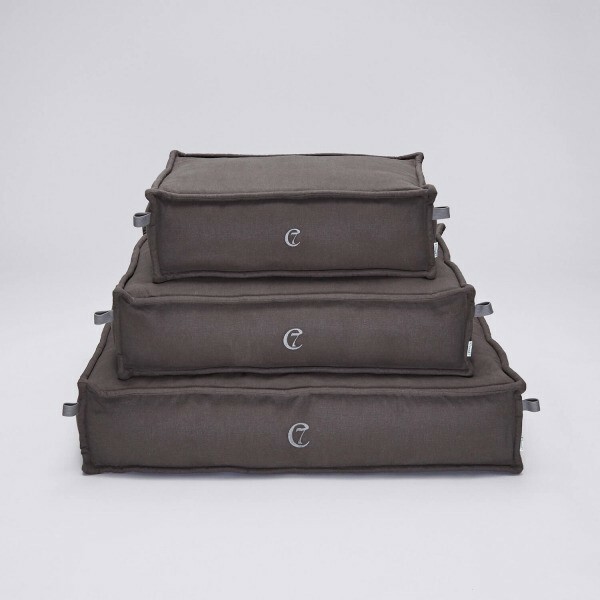 The bed comes with handles so that you can move it around your house easily. They are made from cotton ribbon that adds to the modern country style look. Remove the cover and wash it at 30 degrees. Please use a delicate washing cycle. The mattress can also be washed at 30 degrees on a delicate washing cycle but is not suitable for tumble dryers. 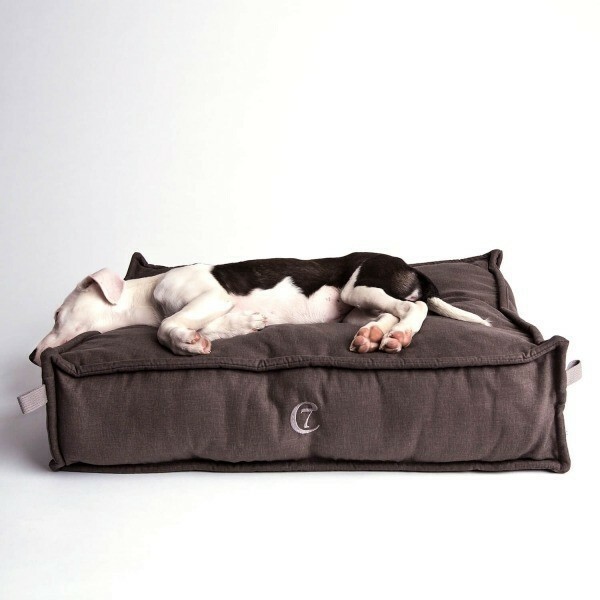 Get in touch with us if you have any questions about the dog beds we stock. We are here to help. 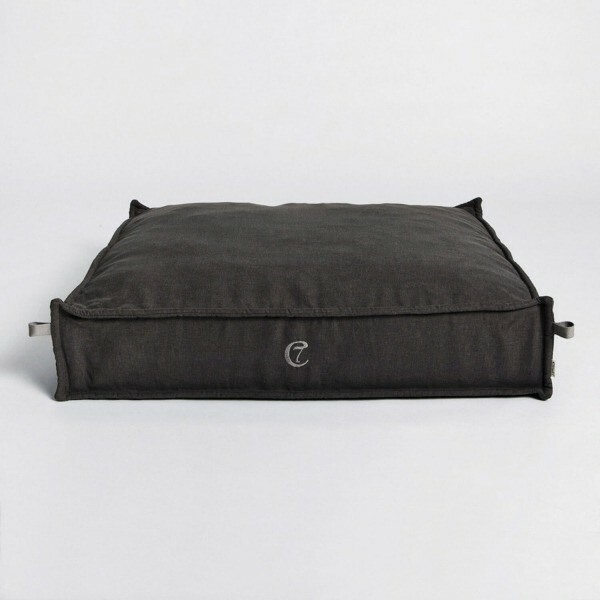 We have selected an exclusive range covering dog beds, dog cushions and dog blankets to cater for all kinds of dogs and breeds. 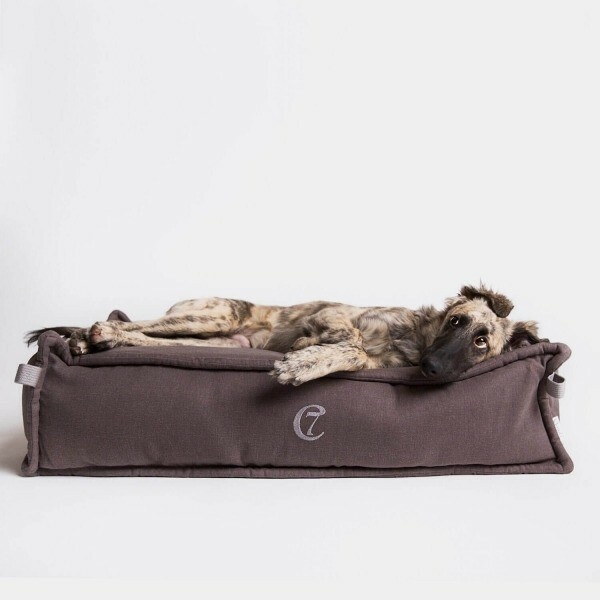 Because all dogs have their own unique character and also their own way of sleeping and relaxing, we have ensured our collection offers a wide choice. 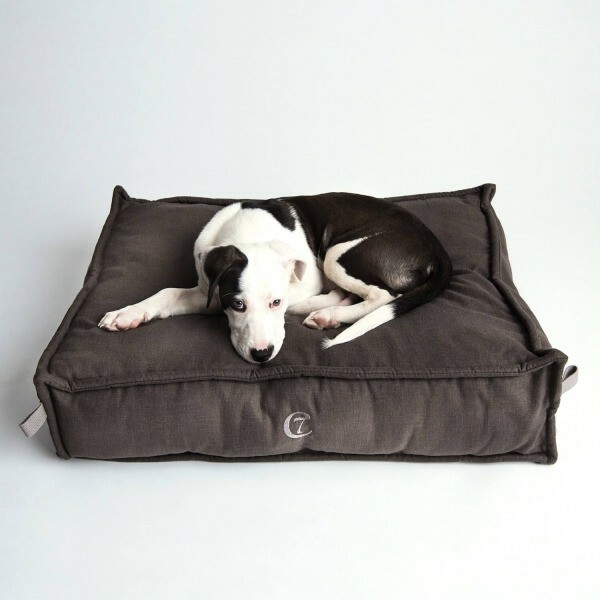 Depending on your dogs’ preferred space, he might want to sleep on your furniture or prefer his own little space and a more traditional dog cushion would be something to consider. 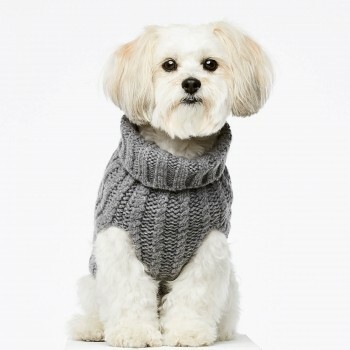 Wrap your furry friend into this luxuriously soft dog jumper. 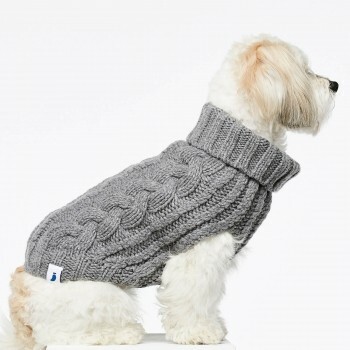 Woven from Italian cashmere and merino wool mix, this garment will keep your dog warm and cosy. 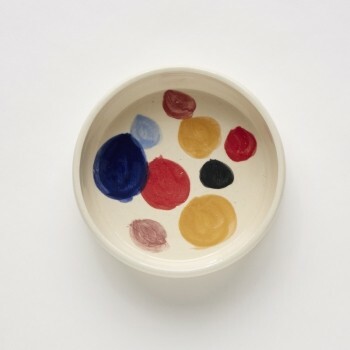 Luxury tableware isn’t for us humans only! 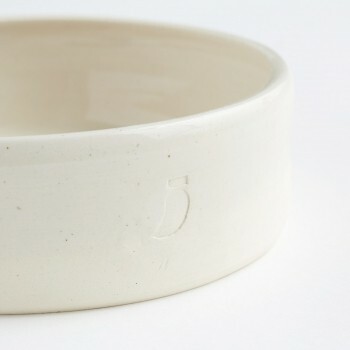 Not since these gorgeous water and food bowls for dogs have arrived in our store.